If you google “credit card comparison” you’ll get a long list of review websites. These sites purportedly provide an objective, unbiased analysis for consumers looking for a good credit card. But if you dig into the fine print, you’ll discovered that very often lenders pay to advertise on those sites! If fact, credit card providers take a heavy hand in dictating how their cards show up on these sites. 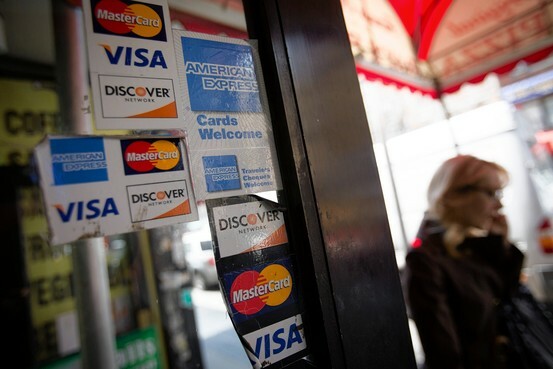 Many others show mostly advertiser cards and those credit cards receive preferential treatment. Usually, the card-comparison sites get paid only if consumers start the card application process on the site and the lender approves them for a card. Buyer (or credit card carrier) be ware! 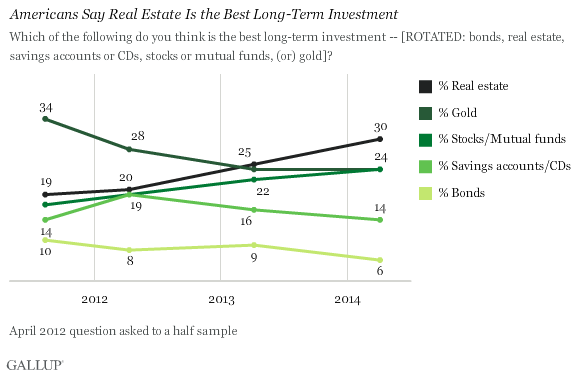 Which of the following do you think is the best long-term investment? Don’t feel bad if you didn’t get the answer right. You’re in good company. There’s a right answer here — and it’s one that about two thirds of respondents who answered the question got wrong. 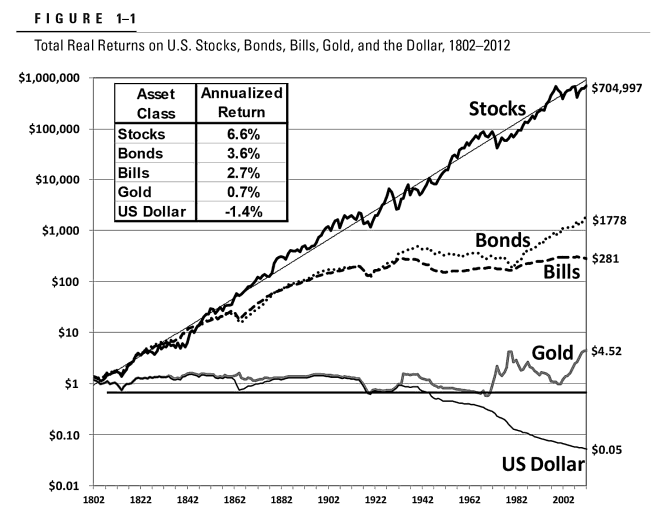 If history is any guide, stocks are the best bet in the long run, and gold and real estate certainly are not. The negative effects of student debt are significant and persistent according to a new Gallop poll. Those who borrowed more than $25,000 are less likely to enjoy work and are less financially and physically fit than their debt-free peers even 24 years after graduation. Financial and physical well-being show the strongest relationship with student debt. 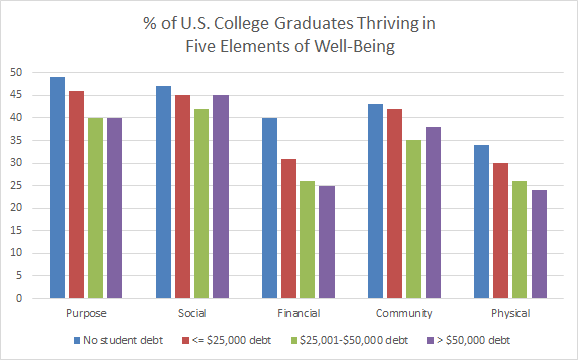 Conversely, social well-being appears to have the weakest debt link. “These results offer a new dimension of how college debt affects the rest of your life and it gives us more cause for concern,” said Brandon Busteed, executive director of Gallup Education. The chart shows several issues investors struggle with all the time. It’s difficult to pick the best performing investment year after year, yet for many investors it’s an annual event. They look for an encore, picking the best asset class last year with the hope of a repeat performance. Yet, betting on last year’s winner rarely works out. Assets at the top of the chart one year could be at the bottom the next, and vice versa. Much of this is due to reversion to the mean. But over the long-term, those big swings even out. 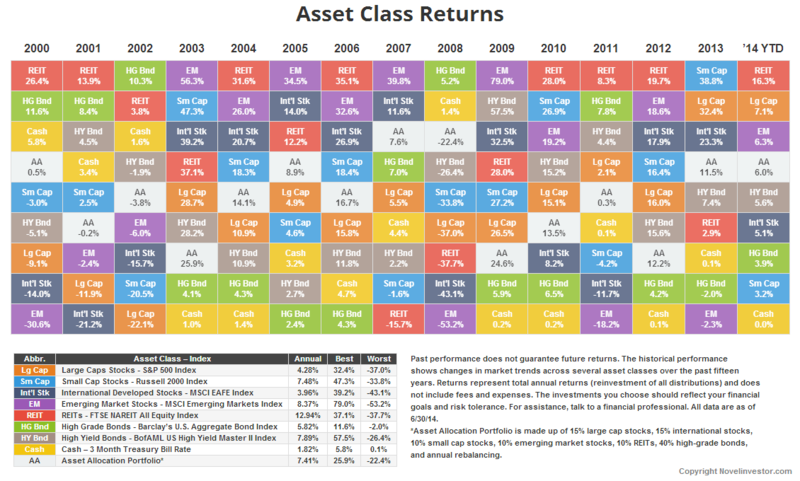 The chart shows annual returns for eight asset classes against a diversified portfolio. Diversification works to smooth out those big swings in the short-term. While you’ll never get the biggest gains of any year, you avoid the huge losses.